First I wanted to wish everyone a Merry Christmas and Happy New Year, hopefully you get all the toys you have been wanting! Maybe we can help you out a little with that over on our Online Canada and US Replica Airgun Stores. I also have a new Red Ryder Type BB Rifle to show off, this one is John Wayne licensed and called the John Wayne Lil Duke. At first glace it looks a lot like a Red Ryder but it has the large loop styled lever which is designed for easier use when wearing gloves, perfect for our Canadian weather ;) The John Wayne Lil Duke Lever Action BB Rifle has a really nice fit and finish, perhaps even a bit better than the classic Red Ryder BB Gun. I really like the real wood stock finish. Another nice touch is that the John Wayne Lil Duke Lever Action BB Rifle comes with a lasso scope rail that you can attach just behind the rear iron sight to accommodate dove tail scope mounts. Just make sure to really tighten down the rear screw as it comes loose super easy due to the spring vibration. I would even recommend adding a bit of lock tight to the screw to be sure. Here are some of the main specifications for the John Wayne Lil Duke Lever Action BB Rifle: 4.5mm Steel BB's, leaver action spring piston, 350 fps, 550 round magazine, 2.5 pounds, smooth bore 9.5 inch barrel, adjustable rear sight for elevation, included scope mount for 11mm dovetail rings, metal and wood build. Look forward to a head to head showdown between the John Wayne Lil Duke Lever Action BB Rifle, the Classic Red Ryder BB Gun and the Marlin Cowboy BB Rifle. Materials: Plastic with some internal metal parts. Weight: 2.5 pounds (1134 grams). Barrel: 4.5 inches, metal non-rifled. Propulsion: 12 gram CO2 x 1. Action: Semi auto, double action only. Ammunition Capacity: 30 round internal magazine. 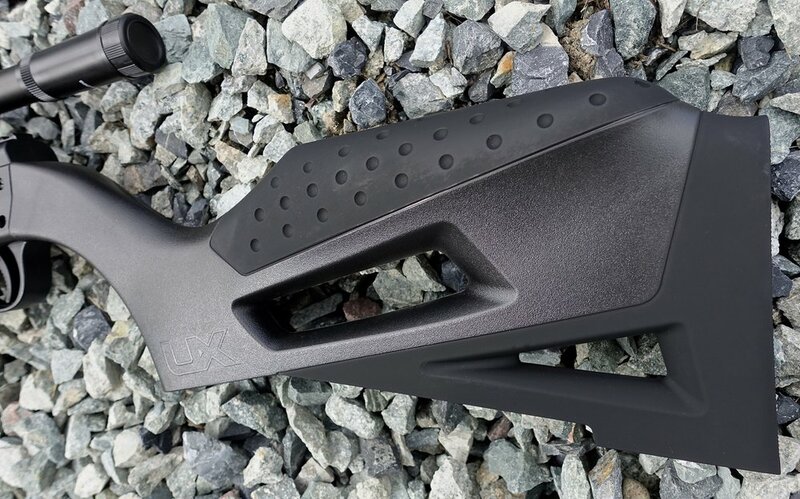 Trigger Pull: The double action type trigger pull on the Umarex Morph 3X CO2 BB Gun is reasonable, it is a bit on the longer side but is smooth with low friction and has a predictable break point. 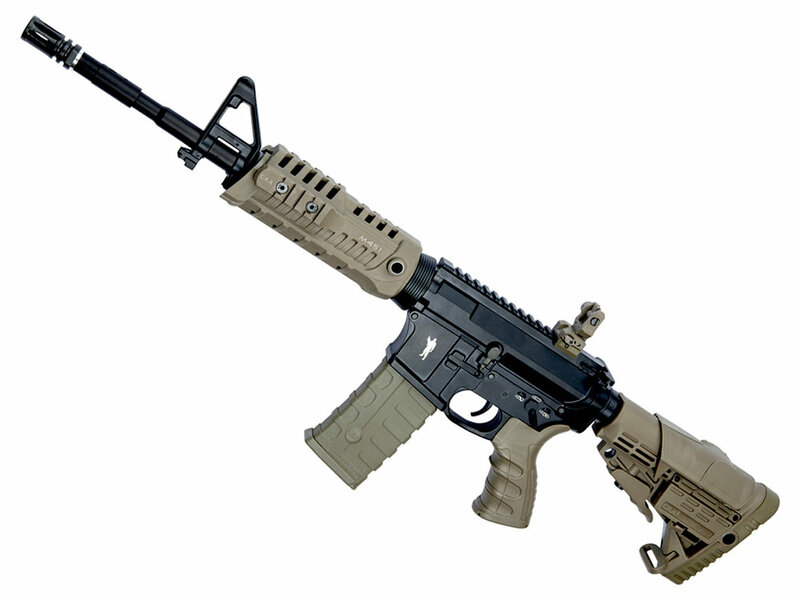 I found it very easy to shoot this gun with good accuracy shooting out in front as a pistol or rested on the shoulder using the shoulder stock more like a rifle. Accuracy: The good news is that I have already done my Field Test Shooting video for the Umarex Morph 3X CO2 BB Gun so make sure to check that video review out when you have a moment. I was very impressed with the overall shooting performance of the Umarex Morph 3X CO2 BB Gun, it scored well in both power and accuracy! I was able to get a nice tight 3/4 inch 10 round grouping on my paper target setup 30 feet away and even with this Canadian versions 4.5 max length barrel I was still able to get really close to 500 fps out of the Umarex Morph 3X CO2 BB Gun! I wonder what velocity I would have managed if the extension barrel actually included the inner barrel portion for the full 12 inches of barrel length? 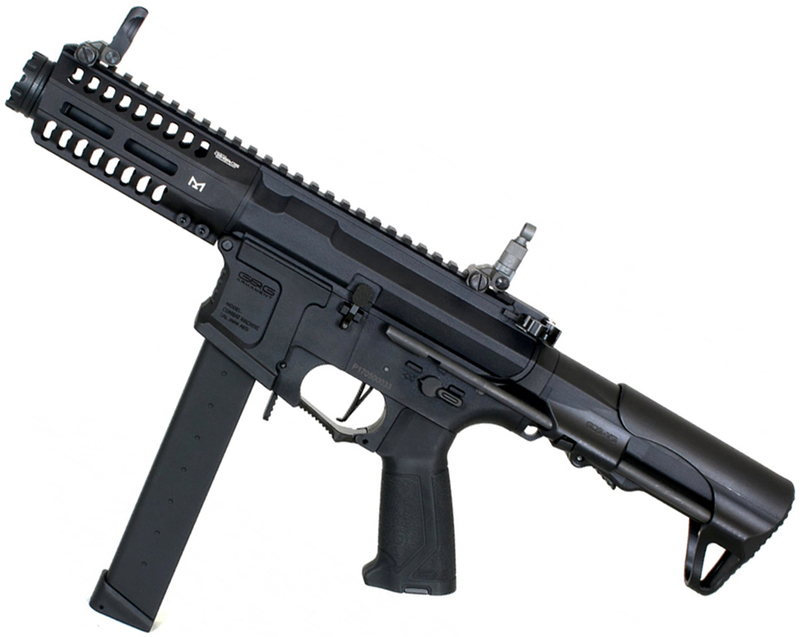 Build Quality: The Umarex Morph 3X CO2 BB Gun coming in at around $100 is a low cost BB gun considering it is so versatile. At this price point you are going to find an almost all plastic build with the exception of some internal metal parts. That said the Umarex Morph 3X CO2 BB Gun feels solid and well made, all the fitted parts feel tight when put together. Realism: The Umarex Morph 3X CO2 BB Gun is not a replica of any gun that I can point out? It can also morph into so many different variation, Umarex says it has 3x configuration but I counted 8 possible configuration when mixing and matching components. Under $100 in Canada at the moment of this review. 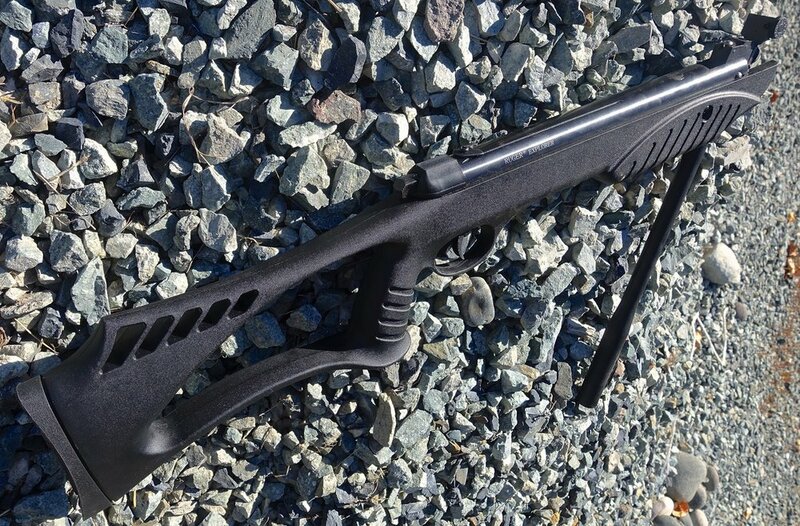 Super versatile airgun with lots of configurations. 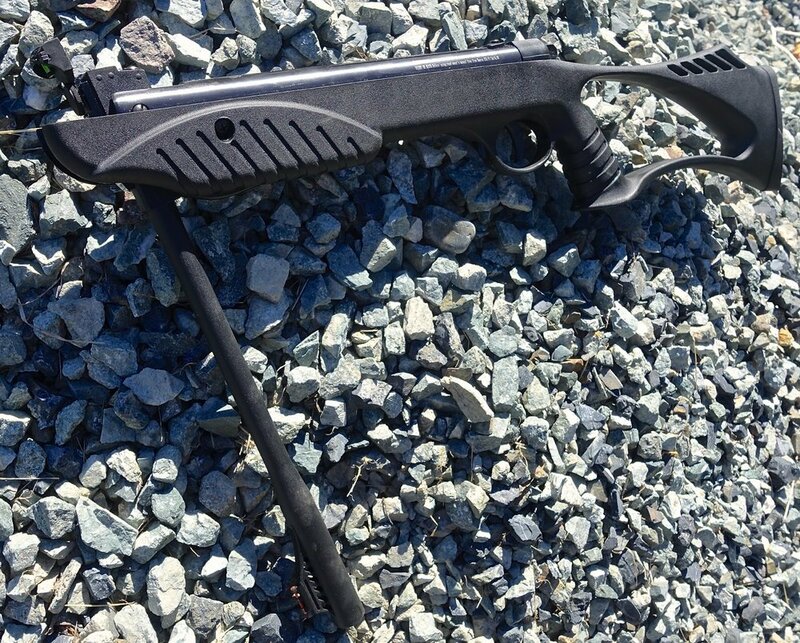 Very powerful CO2 BB gun even in short barrel pistol only mode. Shooting test showed it had good accuracy, as good as any BB gun I have tested. Rails top and bottom for accessories. Fiber optic sights front and back. Has a Velocity Screw for adjusting fps power. 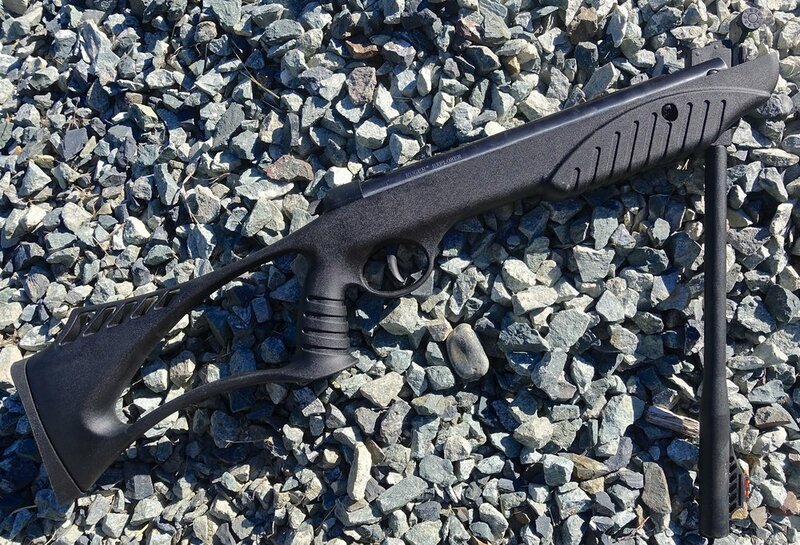 In Pistol form with the rear stock, it would make a great back pack airgun. 30 round internal magazine for lots of shooting fun without having to reload so often. Uses 12 gram CO2, cheap and easy to buy. No inner barrel inside rifle extension so just for show, does not increase velocity. 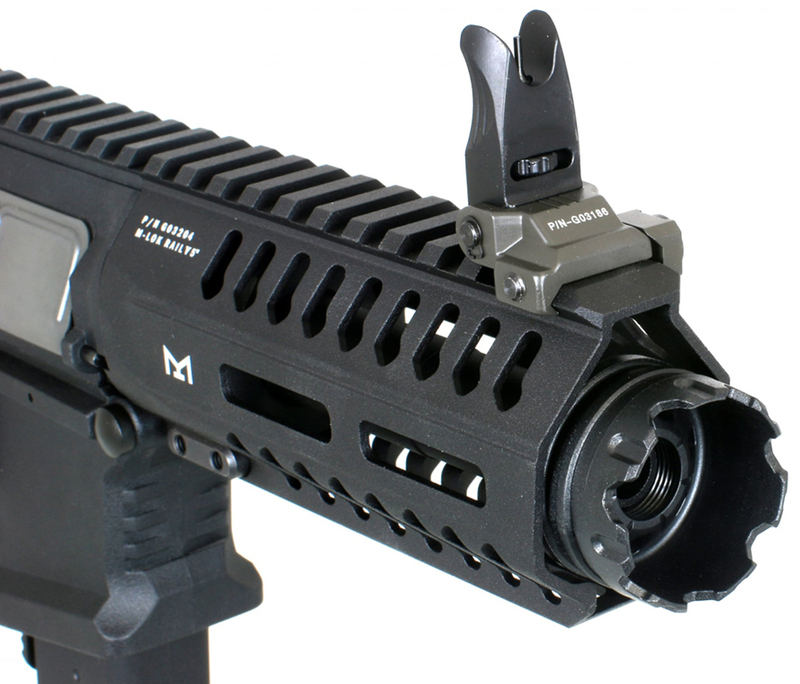 Rear sight is not adjustable but you have the option to add on a red dot or optical sight to the rail. I was pleasantly surprised with the Umarex Morph 3X CO2 BB Gun, I expected it to be much different from a lot of the other airguns I have reviewed since it is so versatile with all of its configurations. 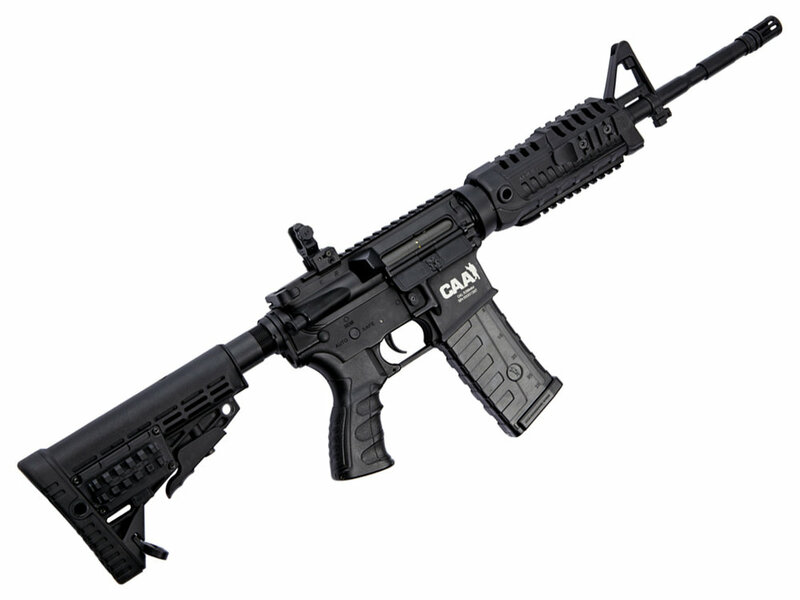 I was not expecting it to be so powerful with only the short 4.5 inch inner barrel. I was again surprised but the accuracy, not many BB guns get a 3/4 inch grouping at 30 feet out! Another kind of cool feature I didn't even know about at first is the ability to adjust the velocity using a screw for higher or lower fps. Lower fps will maximize the amount of shots you get from a 12 gram CO2 while higher fps is just kind of more fun to shoot in. I also don't often recommend BB guns for pest control but in this case with how light weight and easy the Umarex Morph 3X CO2 BB Gun is to break down and put in a backpack, and the fact that it is fairly powerful and accurate out to 300 feet. I feel in a pinch you could take down some small vermin if you found yourself hungry and lost in the woods. I usually do my Table Top Video Review first but in this case I decided to pump out my Field Test Shooting video ahead of it. So if you're looking for more detailed specifications then just wait a bit till I get my Table Top Review out. 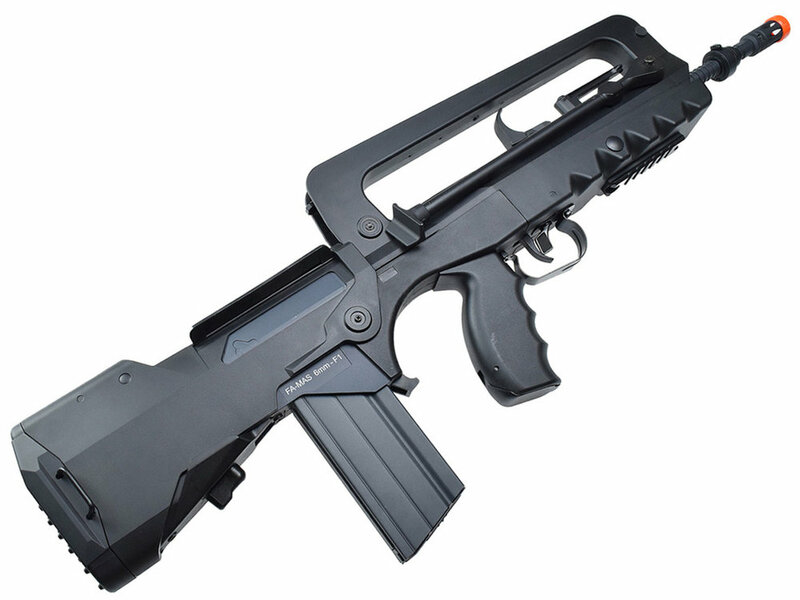 What you really need to know about the Umarex Morph 3X CO2 BB Gun is that it's a CO2 4.5mm BB Gun with a 30 round internal magazine sporting multiple configurations as the stock, barrel and forward stock are all removable so it can be a pistol or a rifle and many variations in-between, even more than 3X of them. 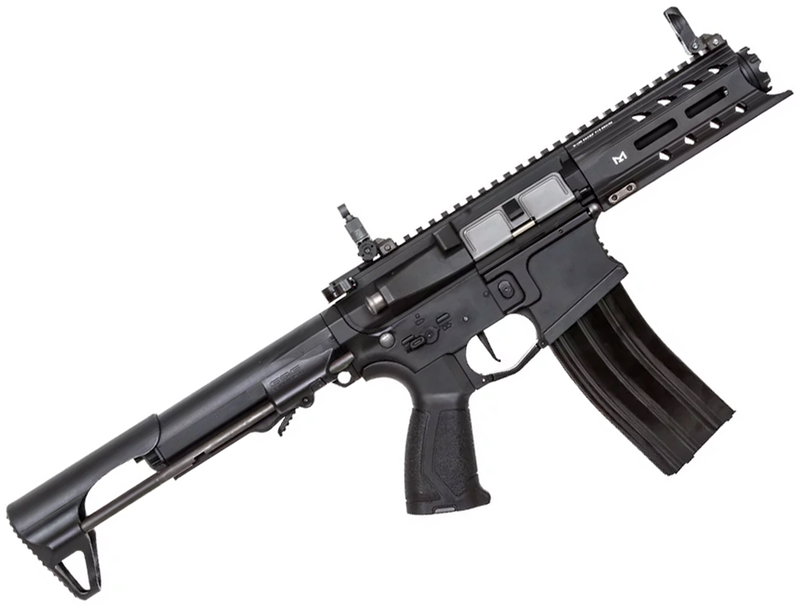 The US version of the Morph 3X CO2 BB Gun when installing the rifled barrel (Which is not rifled buy the way), will shoot faster than when the Morph 3X CO2 BB Gun is in pistol version since the add on barrel adds a lot of additional barrel length to the airgun. 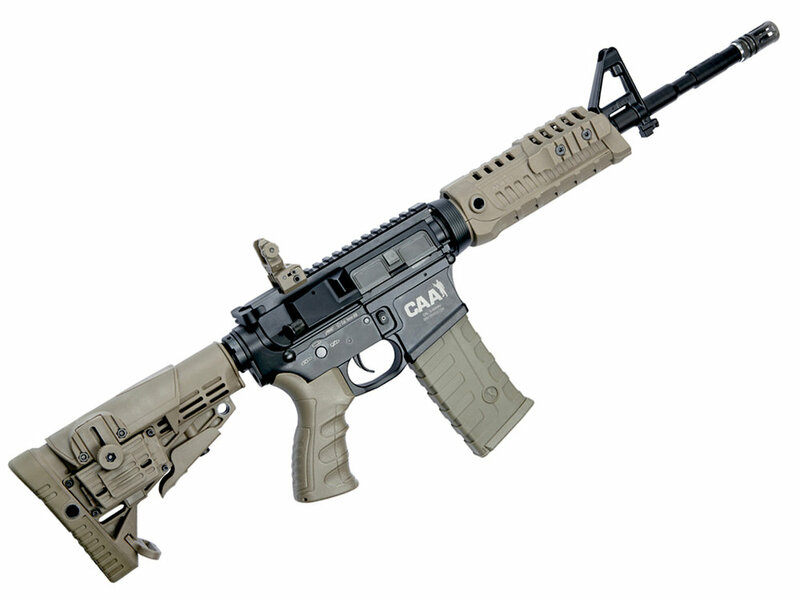 The Canadian version which I am testing does come with the extension rifle barrel but it is only for show as the inside is missing the 4.5mm inner barrel. This is because our Canadian import laws for uncontrolled firearms would not allow the rifle version of the Morph 3X CO2 BB Gun here in Canada as it would potentially shoot with too much fps (around 600 fps) and foot pounds of energy for our Canadian non regulated gun laws. 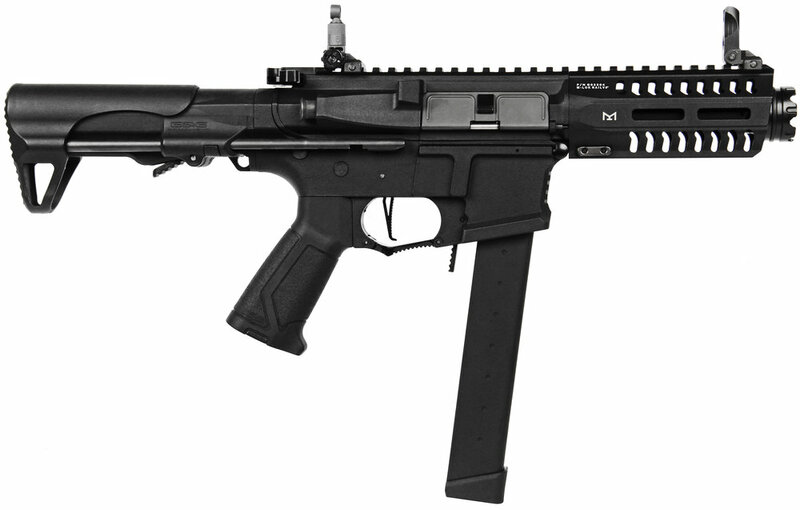 As it stand the Canadian version of the Morph 3X CO2 BB Gun has an fps rating of 480 fps in both pistol and rifle configurations. All that aside how did the Morph 3X CO2 BB Gun do during my testing? Awesome to be precise! It actually averaged a 5 shot Chronograph Velocity Test of 498 fps even in pistol configuration which is very impressive for a CO 2 BB gun. I also was able to get the majority of my 10 shots on a paper target positioned 30 feet away from me using a rested seated position within about 3/4 of an inch. I even played around a bit with holding the Morph 3X CO2 BB Gun out in front like a pistol and tight to my shoulder using the rear stock. It's kind of too bad we don't have the inner rifled version here in Canada as even at 600 fps we are just under 4.2 foot pound Canadian limit but trying to explain that this is still OK to our CBSA border guards is just a little too much for them to process :) Even without the inner barrel the Morph 3X CO2 BB Gun is a really great and super versitile airgun with lots of power and just as good accuracy! It's been a while since I pulled out the old Daisy Red Ryder BB Gun. And I know I have already done some YouTube videos for the Red Ryder and the Crosman Marlin Cowboy but I really wanted to make an updated Field Test Video specifically for the Red Ryder and see how it fairs in a more controlled shooting test. As always with my Field Test Shooting videos I test out the velocity using my Chrony Chronograph and see what the real world fps is compared to what Daisy Claims which by the way is up to 350 fps. I also setup a paper target about 30 feet back and take 10 shots using a rested and seated shooting position to determine what kind of grouping I can get and how well centered the airgun is out of the box. During my velocity testing the Daisy Red Ryder BB Gun shot well under the claimed 350 fps by around 100 fps. I can say that the Daisy Red Ryder BB Gun was super consistent and shot between 242 fps as a low and 244 fps as a high averaging 243 fps. The Daisy Red Ryder is sure one of the most consistent airguns I have tested to date in terms of velocity constancy! This will help a lot with vertical accuracy. During my accuracy test I would have to say the Daisy Red Ryder BB Gun shot pretty close to a 2 inch grouping and was pretty well centered with 4 shots hitting the black bullseye , I did pull my last shot a bit which extended the group a little but this was for sure my fault as I new I pulled it as soon as I shot it, the stock actually dropped on my shoulder a little just as I pulled the trigger. Overall I really enjoy shooting the Daisy Red Ryder BB Gun, it's so simple yet so fun to shoot, there is just something about a lever action rifle that I really like and the super low cost to purchase and shoot a Daisy Red Ryder BB Gun also makes it a must have for anyone no matter how many airguns you own or what type you shoot.